Wolfgang Rihm, one of the foremost contemporary composers, has created a powerful body of music for the violin. 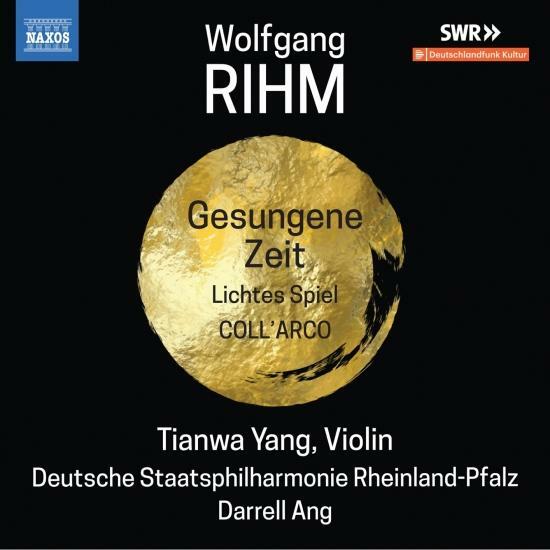 Gesungene Zeit is one of his most performed works, and it demonstrates why Rihm is so admired: music that begins and ends in ethereal lines while embracing agitation and threnody alike. The beautifully transparent and sensuous Lichtes Spiel is ‘light, but not lightweight’ in the composer’s words, and COLL’ARCO takes the soloist to the extremes of virtuosity in his largest concertante work for the violin, teeming with reminiscences, intricacy, and drama. Volume 1 can also be heard on Naxos. called “an unquestioned master of the violin” (American Record Guide) who “rises above her competition” (Fanfare), Tianwa Yang has quickly established herself as a leading international performer and recording artist. The young violinist, a resident of Germany and heralded by the Detroit News as “the most important violinist to come on the scene in many a year,” has debuted with such major orchestras as the Detroit, Seattle, Baltimore, Nashville, Kansas City and New Zealand Symphonies, in addition to the MDR-Sinfonieorchester-Leipzig, Bayerisches Staatsorchester, Orchestre National d’Île de France, Orchestre Philharmonique de Strasbourg, and the Hong Kong, Buffalo, BBC, Deutsche Radio, Warsaw and Royal Liverpool Philharmonics. Ms. Yang has performed under the baton of renowned conductors Marc Albrecht, Andreas Delfs, JoAnn Falletta, Giancarlo Guerrero , Günther Herbig, Yoel Levi, Carlos Miguel Prieto, Gerard Schwarz, Vassily Sinaisky amongst others. Other international engagements include those at the Ravinia Festival, Virginia’s Arts Festival, London’s Wigmore Hall, Paris’ Salle Pleyel and Leipzig’s Gewandhaus. 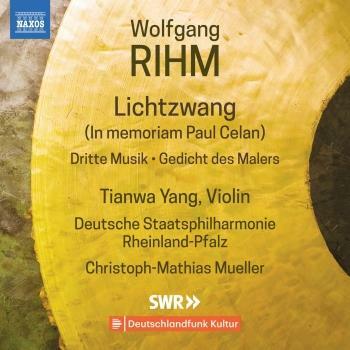 Ms. Yang has also given live concert broadcasts from the Schwetzingen Festival, broadcast by the SWR Stuttgart, from the Berlin Philharmonic Hall, broadcast by Deutschlandradio, and from the Montpellier Festival, broadcast by Radio France. 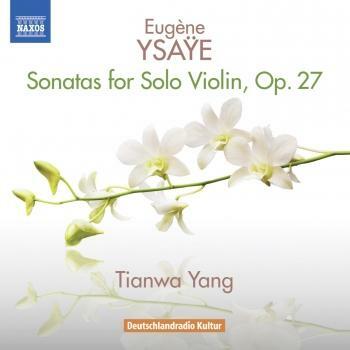 As a critically acclaimed recording artist for Naxos, Ms. Yang will soon expand her discography with the release of the complete Solo Sonatas by Eugene Ysaye. Of her previously released recordings of Pablo de Sarasate’s complete works for violin, David Hurwitz of Classics Today calls Ms. Yang a “sensationally talented violinist,” while All Things Strings speaks of her “stunning effortless virtuosity” and “uncanny affinity for Spanish music.” Ms. Yang most recent releases are both Mendelssohn Violin Concertos and the works for violin and piano by Wolfgang Rihm. She has also has also recorded Piazzolla’s Las 4 Estaciones Porteñas with the Nashville Symphony Orchestra and the Vivaldi/Piazzolla Eight Seasons performed with her own ensemble. The remaining two albums from the eight disc set of complete Sarasate works for violin are due for release during this season. During the 2012-2013 season, Ms. Yang continues to build her growing reputation in concert halls across Europe, Australasia and North America. She has given debut performances in Vancouver, Toronto, Montreal, Calgary and New York on tour with the Hong Kong Sinfonietta, and will debut with the Pacific and Grand Rapids Symphony Orchestras returning to many of the symphony and recital centers of the world. Raised in the Chinese capital city, Ms. Yang began studying violin at the age of four. Demonstrating unquestionable ability, Ms. Yang won six competitions as a young child. At the age of ten she was accepted to study at the Central Conservatory of Music in Beijing as a student of Lin Yaoji. Within one year, Hong Kong media described the young artist as “A Pride of China.” Ms. Yang recorded the 24 Paganini Caprices at the age of thirteen, making her the youngest artist to release the works. In 2003 Ms. Yang was awarded a scholarship by the German Academic Exchange Service to study chamber music in Germany, marking the beginning of her European career. Ms. Yang has won several awards during her career including the Volkswagen Foundation prize “Star of Tomorrow” by Seiji Ozawa and the 2006 “Prix Montblanc.” She holds a place on teaching faculty of the Music Academy of Kassel, Germany and is grateful to Lin Yaoji, Jörg-Wolfgang Jahn and Anner Bylsma for the musical insight and support they have offered throughout her career.